I am busy….like most moms out there!! I will be the first to admit that I don't always make my health a priority and I know many moms are in the same situation. We put our kids, husbands, friends and family members first and we lag behind in the back of the line. This works fine until our health takes a HIT. I needed to make a reminder for myself of the simple steps to good health and wanted to share my goals with you! I even made a little printable to hang on the fridge so I can remember how easy the simple steps to good health actually are! You can download the printable at the end of this post! Sometime it feels like better health always have to be complicated. I just don't like complicated….how about you? I never last with complicated!! 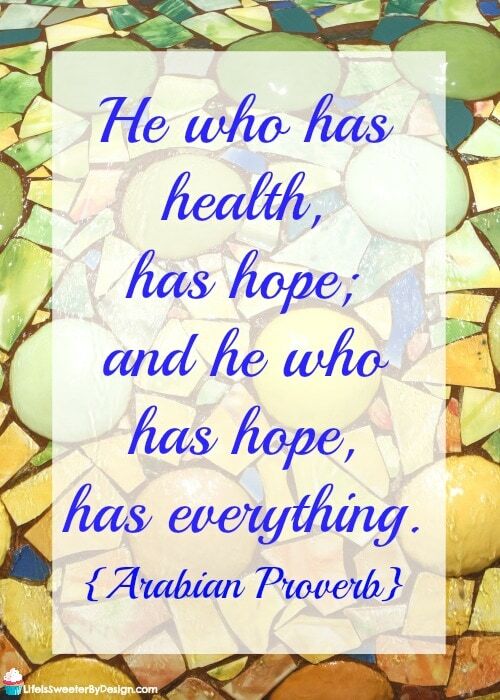 Finding simple steps to good health is what works for me! These are easy steps that can make a real difference in your life, but don't have to be hard!!! I am embarrassed to admit that sometimes I get so busy that hours will pass and I won't take a drink. 🙁 There are many days I don't drink near enough liquids and I know this is horrible for my body!!! When I am well hydrated I always feel better! So lets work on drinking more liquids each day to stay well hydrated! Getting a good nights sleep has been a major obstacle for me the past few years. I have had a lot of trouble sleeping soundly and have been working on this a lot! It is getting better and I find myself so much more productive when I have at least 7 or 8 hours under my belt! Sleep is a basic necessity and I know that when I go too long without enough sleep I end up getting sick. I am working to get a good night of sleep every night by getting to bed at a reasonable time and remembering to be screen free before I head to bed! I have actually seen my husband think himself well. It is amazing what his positive mental outlook can do! Although I am not nearly as positive as he is…I have improved a LOT over the years, LOL! I know that I feel better physically when I am in a good mental state of mind. 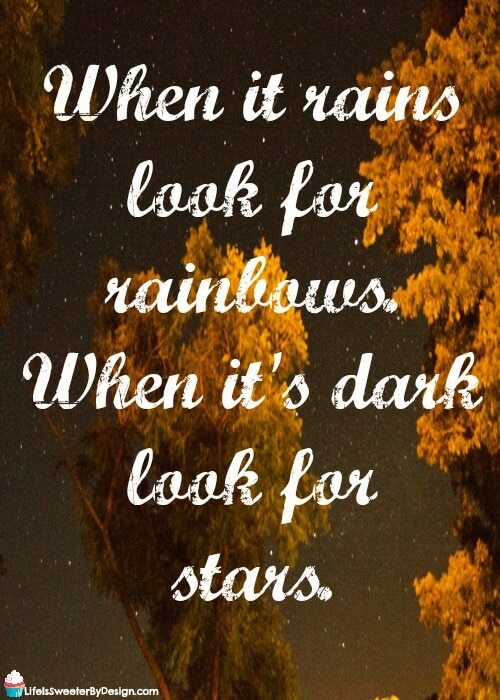 This starts with my thought processes….going into situations with a positive outlook instead of a negative outlook. A positive mental outlook really is within our control, if we make it a priority! Let's start thinking positive!! Taking time for yourself may sound selfish, but in reality it is imperative for your own well-being. We need to have time to relax…think…meditate….just be. Maybe you need time to read, craft, walk, write in your journal….take a long, hot bath…..this doesn't have to be a LONG time. Taking regular time for yourself will make you a MORE POSITIVE PERSON. It will help you be able to give more to your family later! Just do it!!! When I plan our family meals ahead and grocery shop with a purpose we end up eating healthier. Those weeks when I am running crazy and our evening meals are thrown together or ordered out…are actually more stressful for me. I have more energy when I have eaten nutritious foods. I have more money when I am not eating out all the time. These things combine to make me happier and more energetic!! I have a bad habit of grabbing unhealthy snacks especially when I am rushed. I have been working to get out of this habit! One snack I have started keeping on hand is SO SIMPLE to make and yummy to eat! I used to eat this all the time as a child and am now getting my kids hooked on it! It is only 2 ingredients….I love easy recipes! Stir both ingredients together in a bowl until combined and serve with your favorite dipping items! 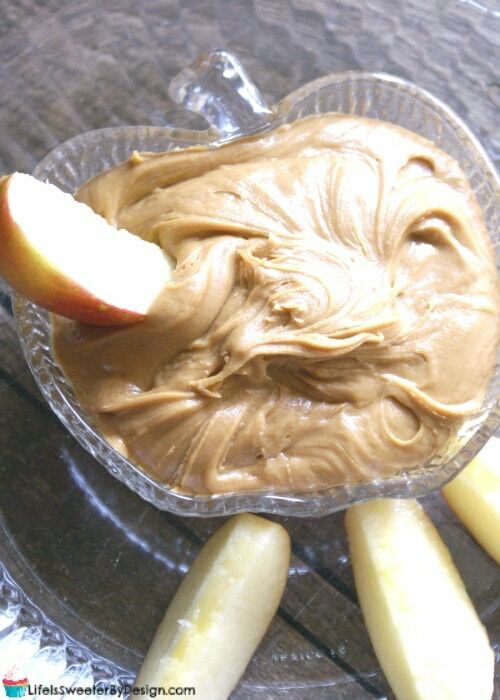 This Peanut Butter Honey Dip is perfect with sliced apples or pears, graham crackers or on toast! We used to eat this instead of peanut butter and jelly!! I have rarely seen of list of good habits that didn't include taking a multi-vitamin. My doctor recommends it…as do many professionals. I try to get all my needed nutrients from my foods…but honestly….it doesn't always happen! Taking a multi-vitamin is quick, easy and fits right into my busy lifestyle! 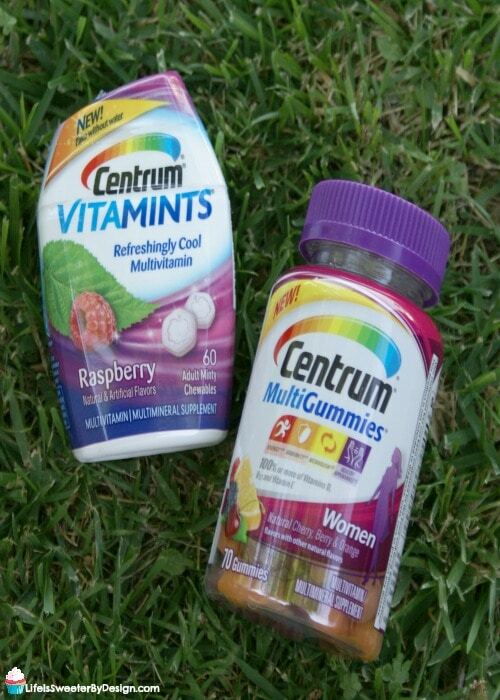 I have been taking Centrum Multi-Gummies for Women and the new Centrum Vitamints Raspberry! These Centrum Vitamins are so tasty that it isn't a chore at all to take them each day. 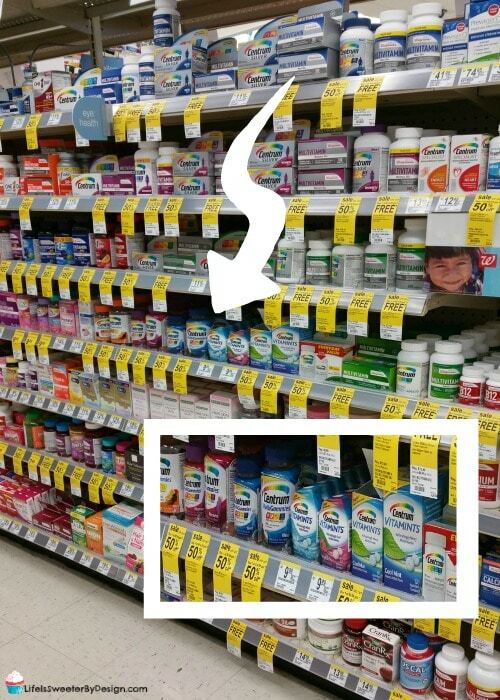 I love to buy my vitamins at Walgreens because they have a partnership with Vitamin Angels….”Get Vitamins Here. Change Lives Everywhere. Walgreens will make a donation to Vitamin Angels with every Vitamin purchase.” I like knowing that my purchase will help make a difference somewhere else in the world! 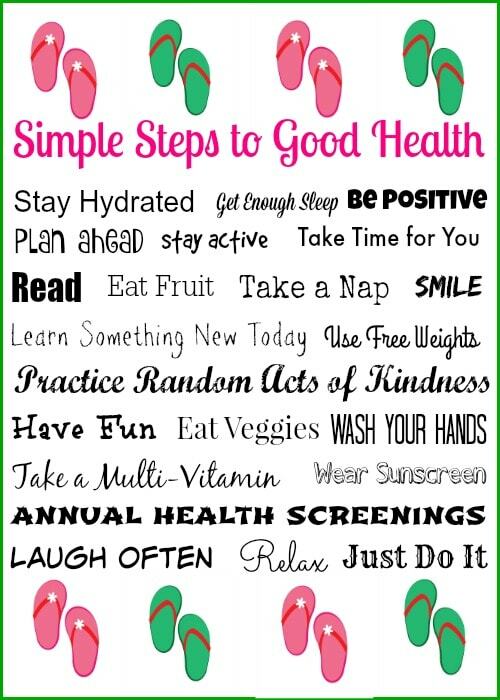 There are so many simple ways to good health that we can be doing each day! Here is a free printable you can hang on your fridge to help you remember things you can do! Just click on the image below to download the printable!